Outgoing postcard US-3368775 to Ohio shows the Peking University Library at the Peking University's main campus in Beijing, China. Its predecessor, the Imperial University library, was founded in 1902. Peking University, along its library, moved from downtown to the former Yenching University campus during the university re-grouping in 1952. The main building opened in 1975 at the center of the campus. 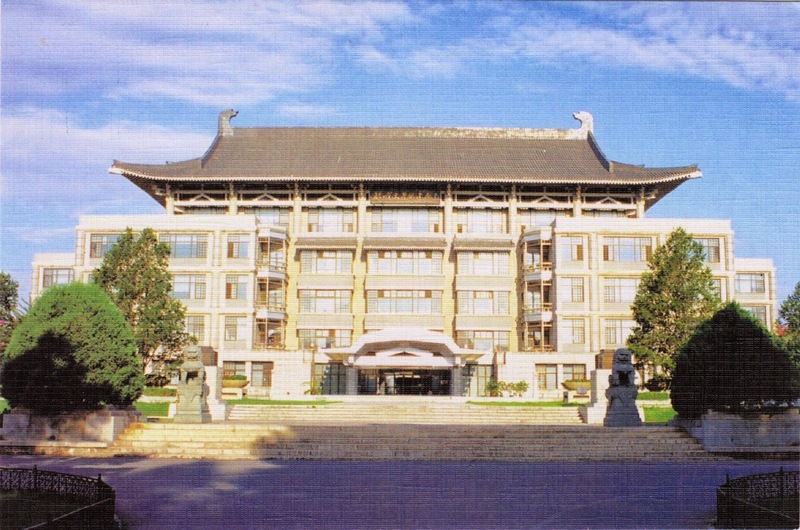 A new building, shown on the postcard, was added in 1998. It holds 5.3 million books, among of which are 1.5 million ancient books and 170,000 rare books and special collections. Peking University, a major research university and the first modern national university in China that was founded as the "Imperial University of Peking" in 1898, celebrates its 117th anniversary and the Homecoming Day on May 4th, 2015.